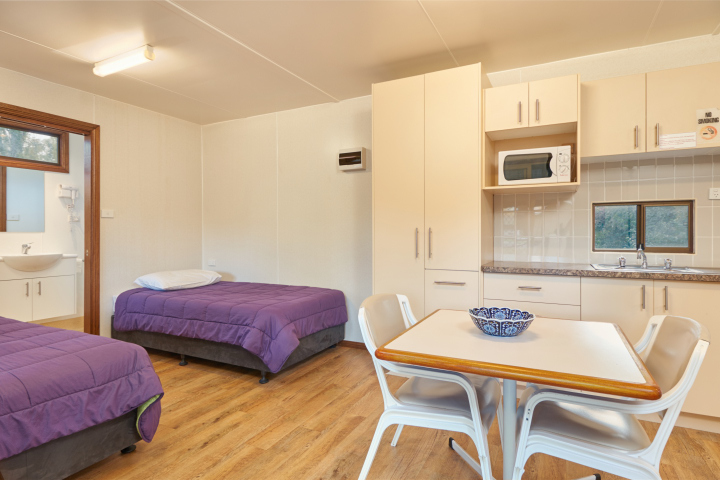 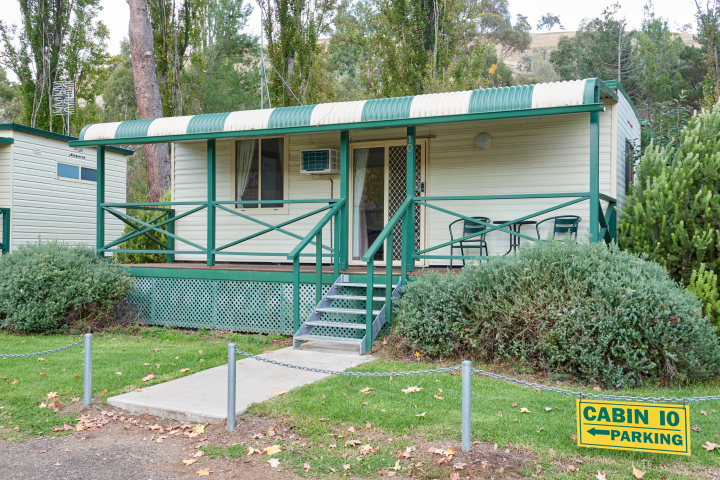 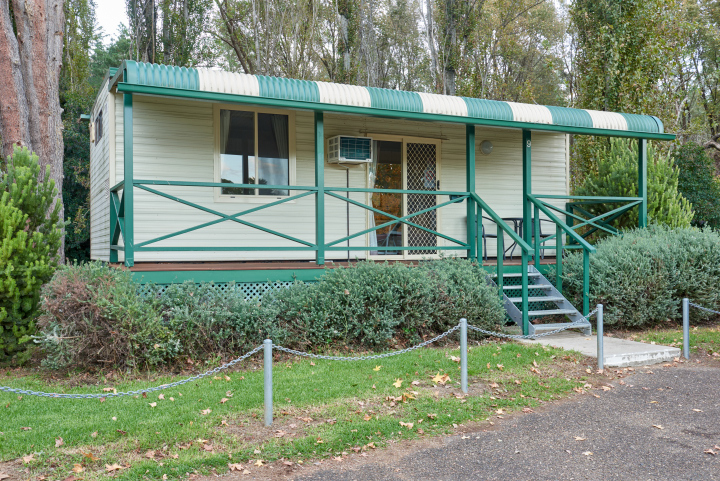 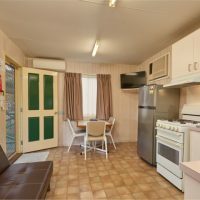 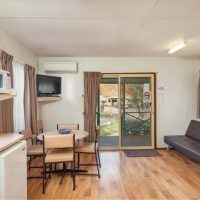 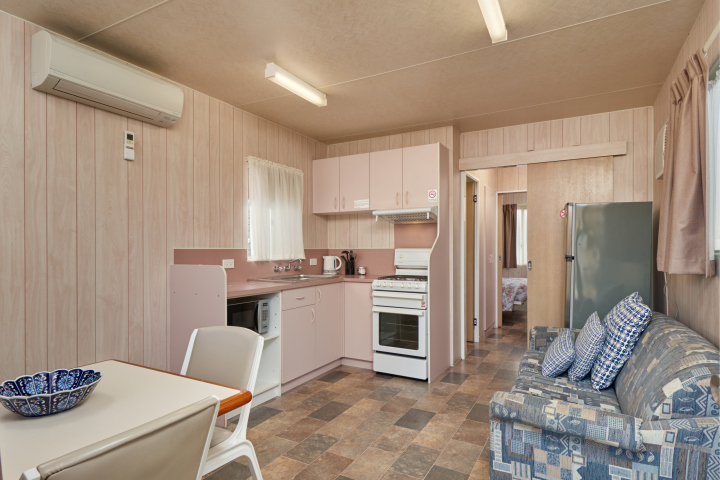 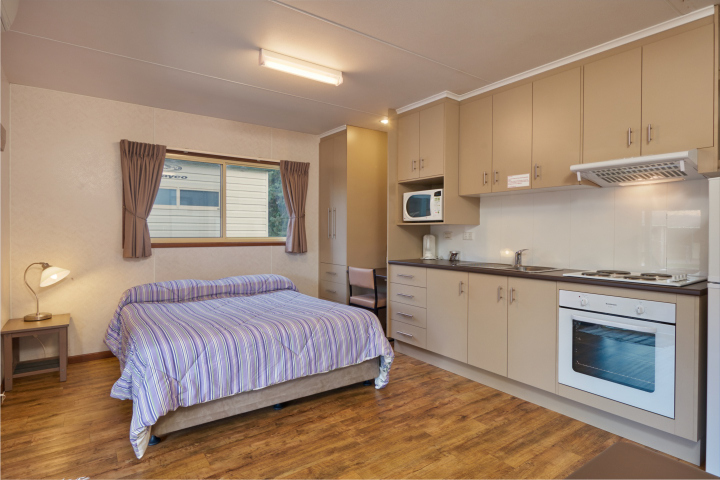 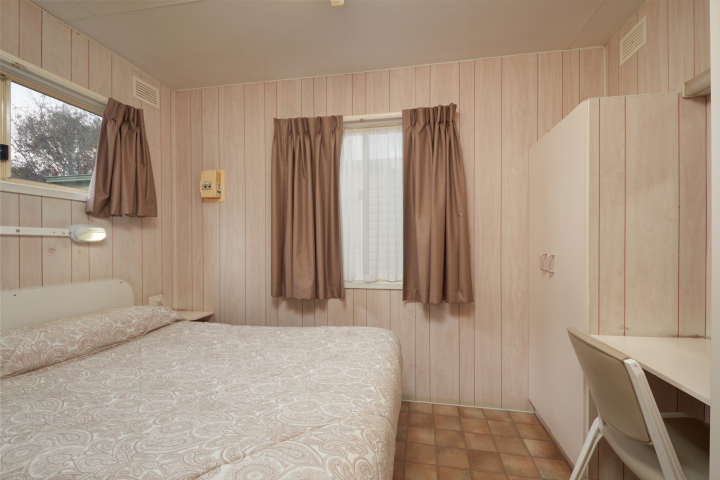 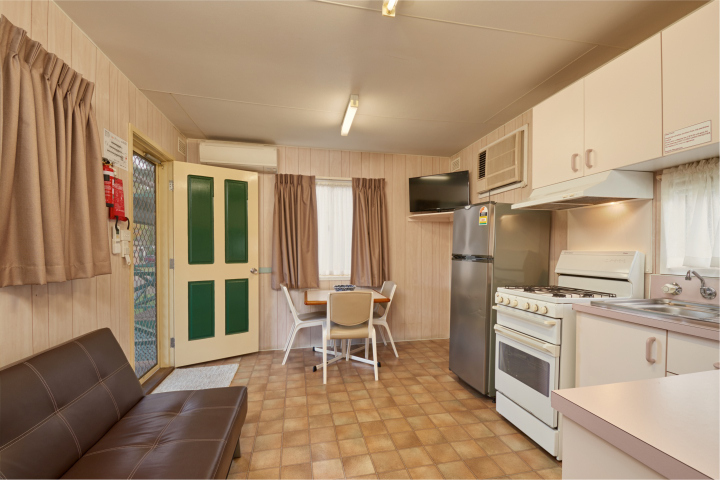 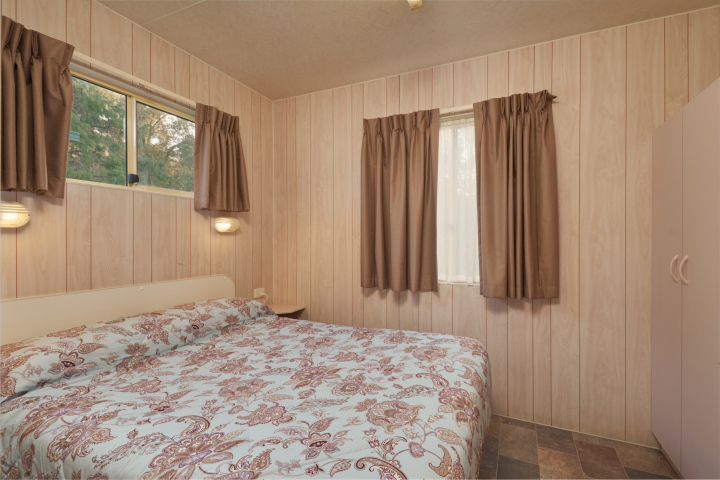 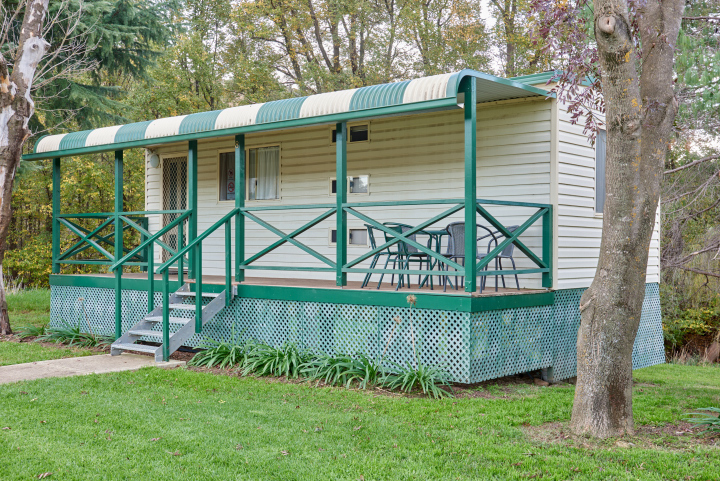 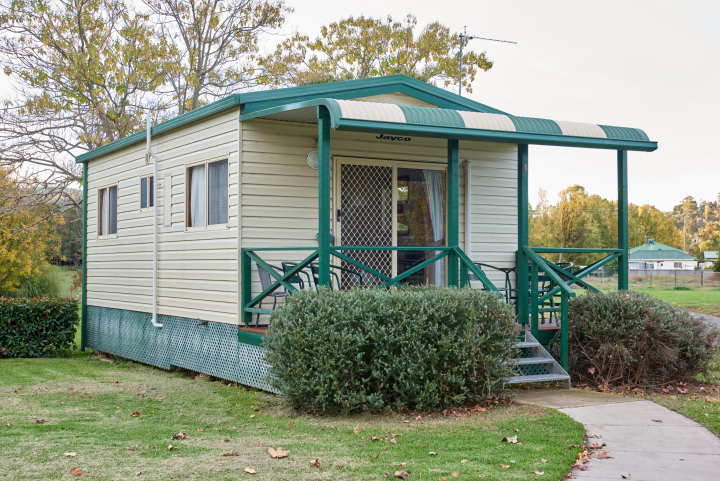 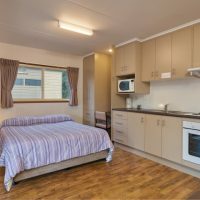 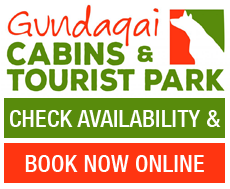 All Cabins at Gundagai Cabins & Tourist Park have modern amenities. 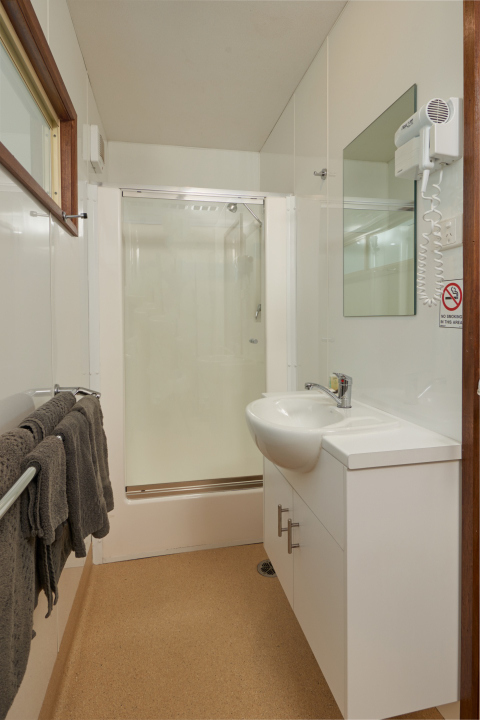 Reverse cycle air conditioning for your comfort, the bathroom has a shower, toilet and vanity. 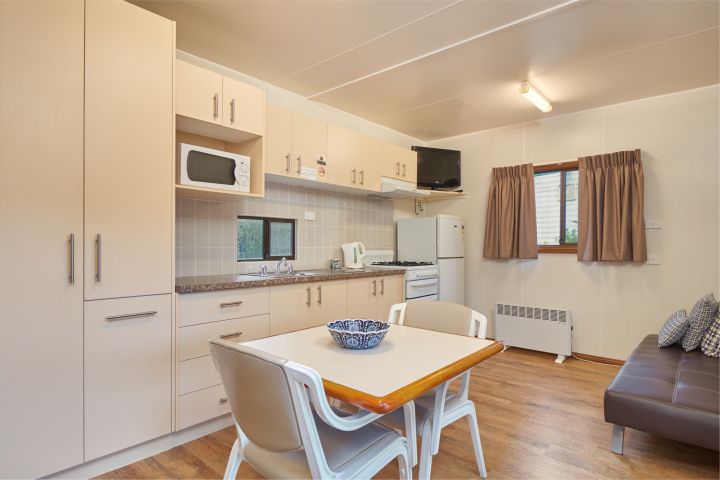 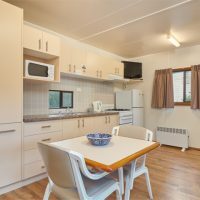 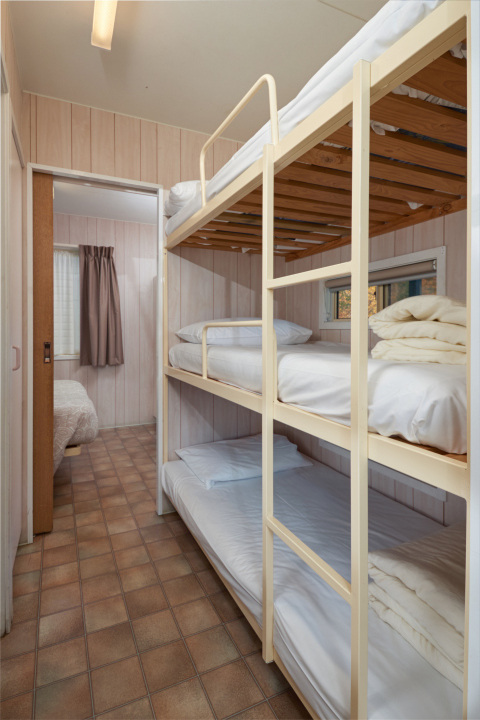 All our Cabins have a fully equipped kitchen including microwave, fridge and cook top/oven. 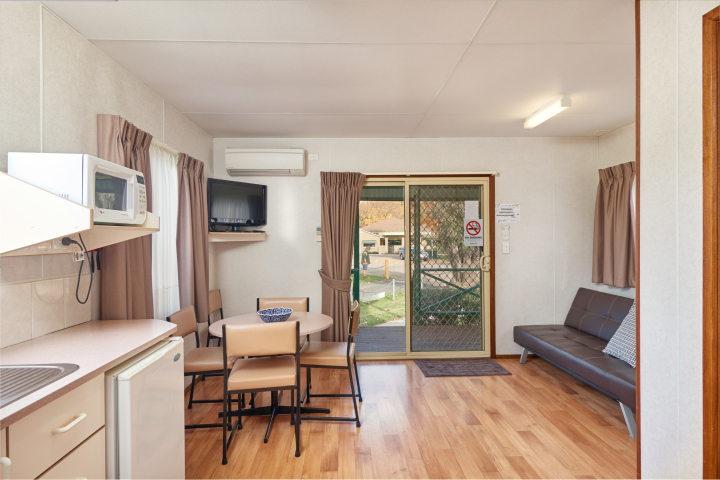 The family room has a double sofa, table and chairs with flat screen TV's. 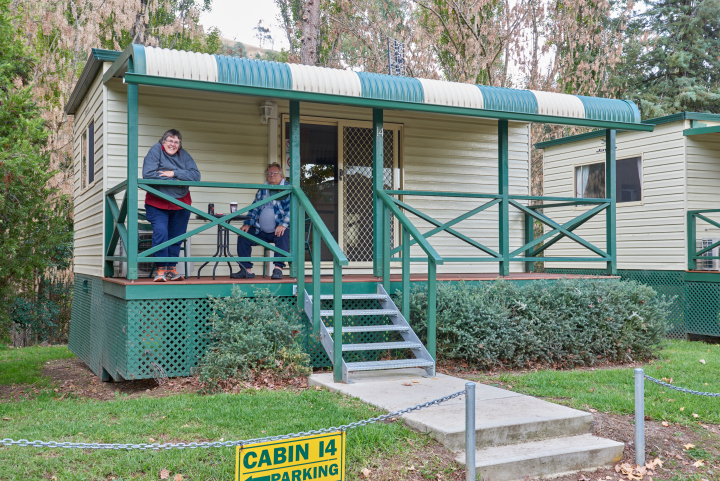 Tea and coffee are provided complimentary. 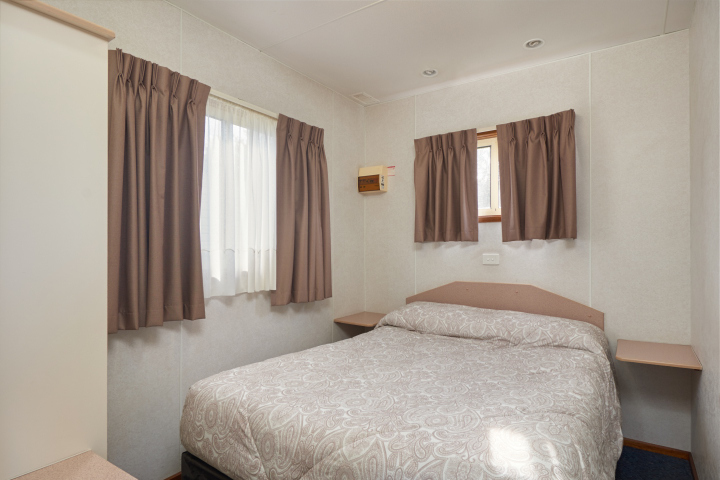 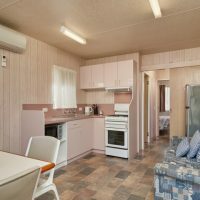 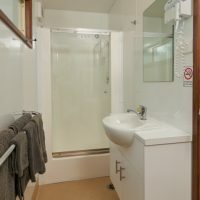 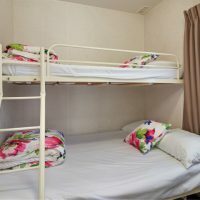 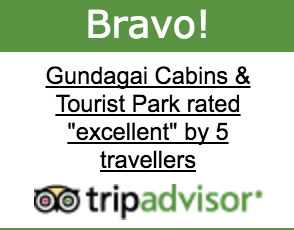 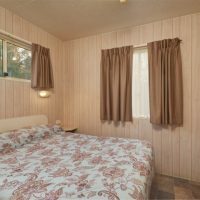 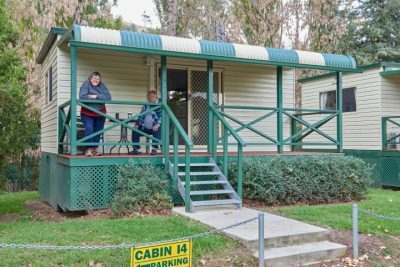 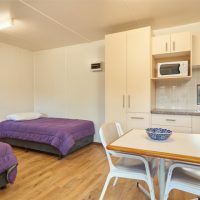 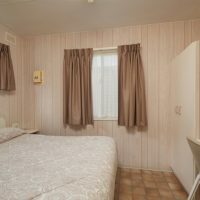 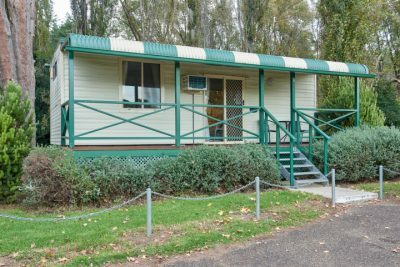 Choose your Cabin accommodation and enjoy your stay at the Gundagai Cabins & Tourist Park, in historical Gundagai. 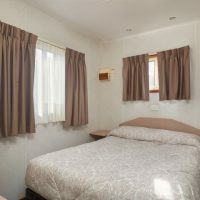 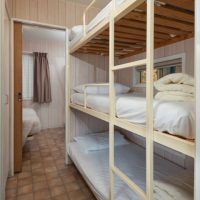 We now have new Queen suites and Twin suites and all are double insulated so you’ll be toasty and warm in winter, cool in summer and whisper quiet at night. 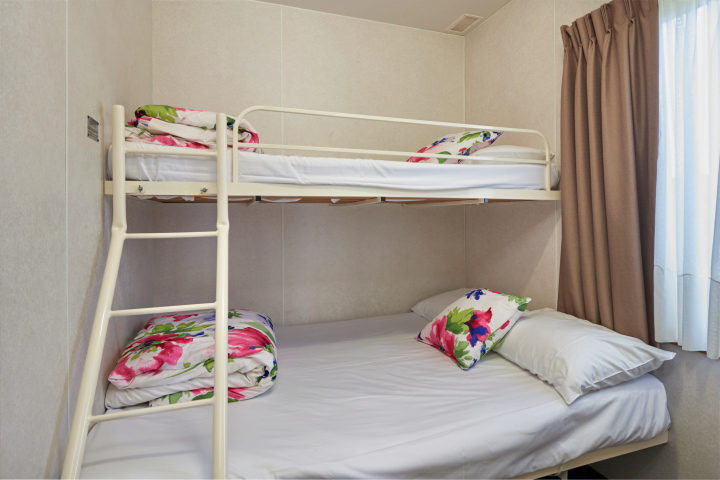 Very spacious rooms of just over 30 square metres, parking at your door and super comfy executive quality beds and crisp professionally laundered linen. 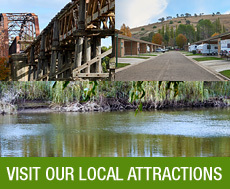 View our Gundagai Tourist Suites information.